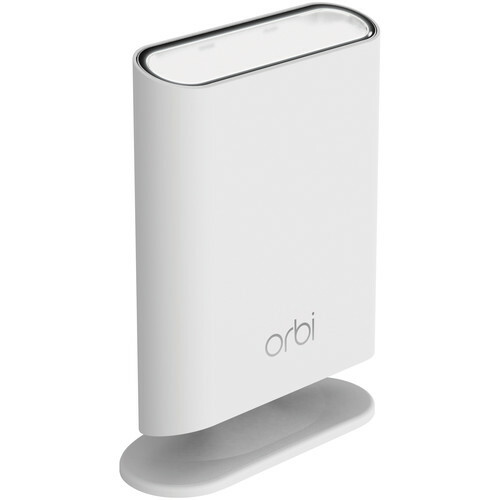 Expand the reach of your existing Orbi Wi-Fi System with the Orbi AC3000 Outdoor Wireless Satellite Add-On from Netgear. This satellite device adds up to 2500 additional square feet of coverage to your wireless network and supports dual-band wireless connectivity. Moreover, it features beamforming and MU-MIMO technologies to provide direct signals to multiple devices simultaneously. Designed for outdoor use, this satellite is weather-resistant and can also be wall-mounted for flexible placement options. Box Dimensions (LxWxH) 12.1 x 9.4 x 6.7"